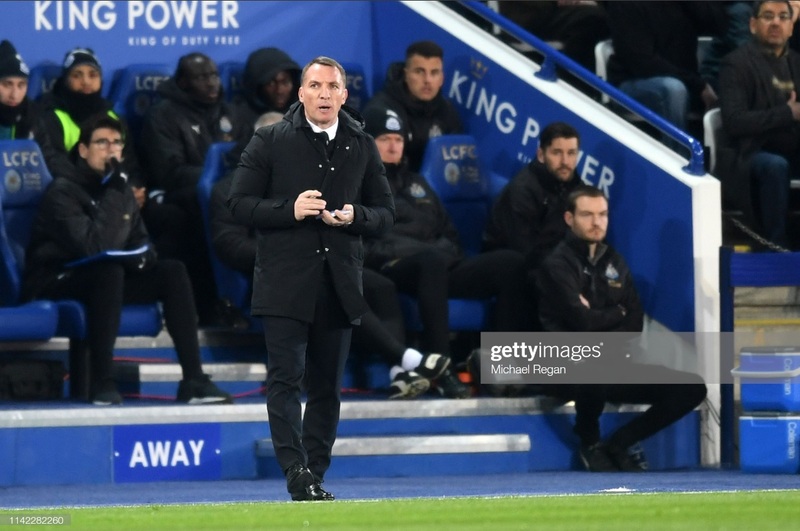 Leicester City boss Brendan Rodgers stated his side will learn from their defeat at the hands of Newcastle United. Newcastle displayed the perfect away performance as they sat back and hit the Foxes on the counter attack. Ayoze Perez earned the lead for his side in the 32nd minute after a glancing header found the far corner of Kasper Schmeichel's goal. Leicester were just restricted to five shots on target in the match, but their best chance fell to Jamie Vardy who found himself through on goal in the final 10 minutes of the game only to chip it over the net. It ended 1-0 to Newcastle whose three points have most likely guaranteed their Premier League survival. Speaking to Leicestershire Live, Rodgers gave his verdict on his side's defeat. He stated: "First half, we were too slow in our passing, in order to get in between the lines and unbalance their defence. Second half, we were better. I thought we played through the lines better. “There are lots of areas that we can improve in. There weren’t too many chances in the game and sometimes that’s the way it is in these types of games." He added: “It was one of those nights where it didn’t quite come off for us but the players gave everything. We’ll go away and analyse it and hopefully we’ll be better the next time we face that kind of opponent." Speaking further to BBC Sport, Rodgers spoke about defensive teams and the work his side must do to break them down. He stated: "It's difficult to break down a team like that. It's an area we will get better at. There wasn't a lot in the game, our final pass just wasn't there but we gave everything. We couldn't break down their defence. "We will learn from it; this is why I am here. In games like that, you have to stay patient and have tactical discipline. The players have been first class since I came here but if you're not quite on it, a result like this can happen." He added: "The speed of our passing in particular can be much better. We let them get into shape too early. It needs to come quicker. We changed it around a few times but it was one of those evenings. It will be good for our learning going forward."